You know what that means, it was time for Harvey Nichols Manchester to host their Spring/Summer Catwalk Show. WAGS, the Cheshire massive, the Didsbury Dudes and myself all gathered at the impressive Campfield Market Arcade, tucked away just off Deansgate in Manchester City Centre. It was a huge space, where Bjork hosted her Manchester International Festival performance, and (despite the cold) was the perfect venue for the occasion. 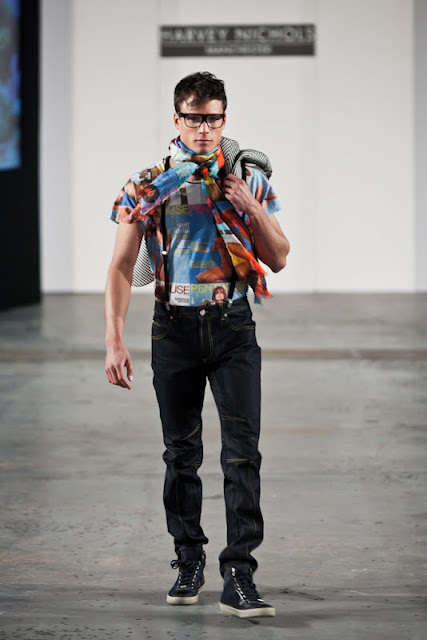 Rather taken in by this look (and the model) fine prints may make a splash in my SS12 wardrobe. 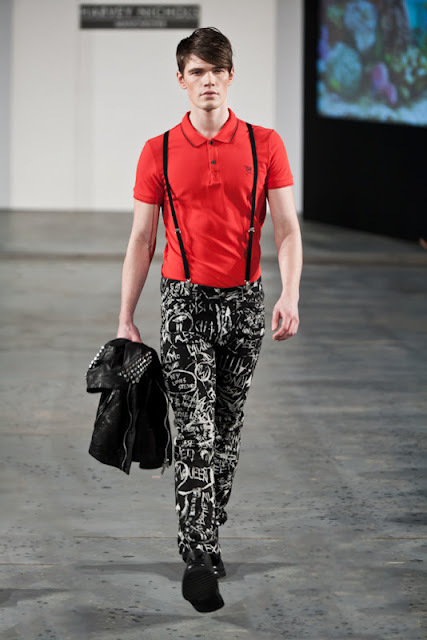 Especially if they can be like these incredible trousers I found on Simone Marchetti!